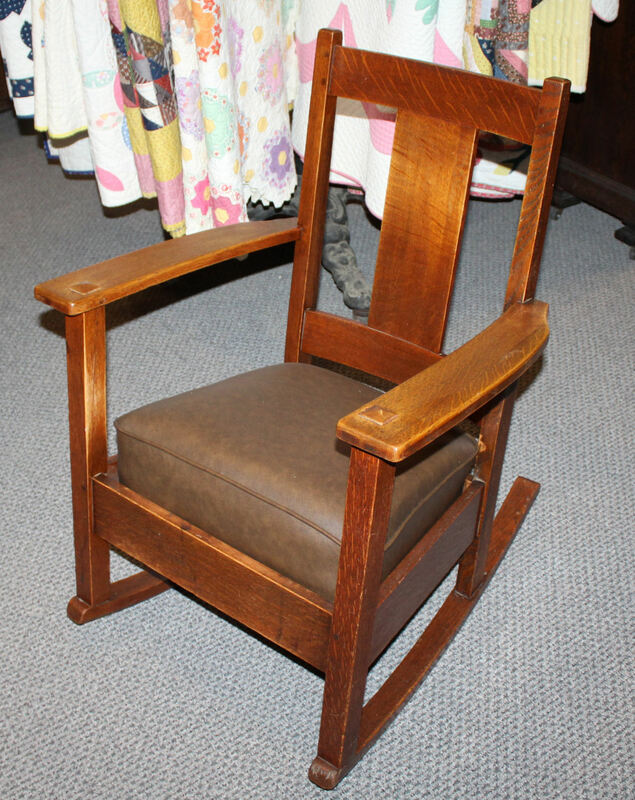 Arts and Crafts Mission Oak Rocking Chair in the original finish. Has the Limbert furniture branded under the arm. The springs have been recovered but are the original. Measures 33″ Height, 17″ x 18″ depth. Circa 1910.